Quick Pasta Carbonara - What the Forks for Dinner? We have been on carb-overload lately! It’s that time of year when I crave comfort food. For my money, nothing beats a hot steaming bowl of pasta. Seriously, I could eat it until I exploded……which if I don’t lay off will happen……..but, when it’s cold and ugly out (everyday lately) I want pasta!!! I have mentioned in quite a few of my posts that at one time I was a freak……ok still am, but that’s a different story…….about those little recipe books in the check out lines. I bet I used to have a 100 of them. I bought them constantly! In my defense, they were small, full of great ideas, and let’s face it, they beg to be bought…..setting so cute in their little rack and screaming good ideas at you. Enter the world of the computer…….I spent hours typing those recipes in so I would have them forever. 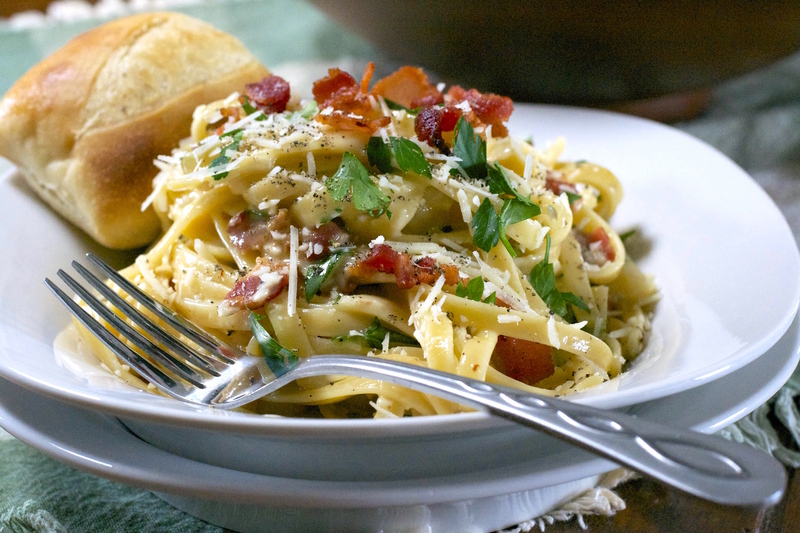 Quick Pasta Carbonara is one of my favs. 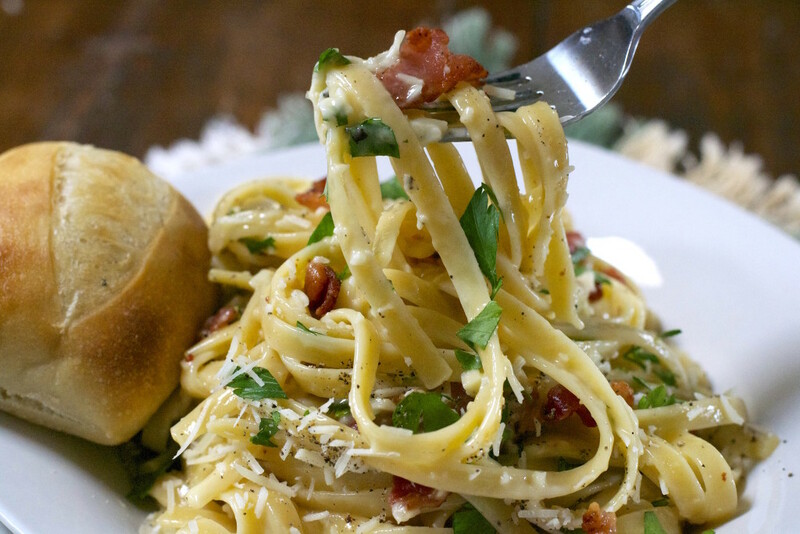 It is a traditional carbonara, with a twist………or maybe a miracle……..that’s right, Miracle Whip. 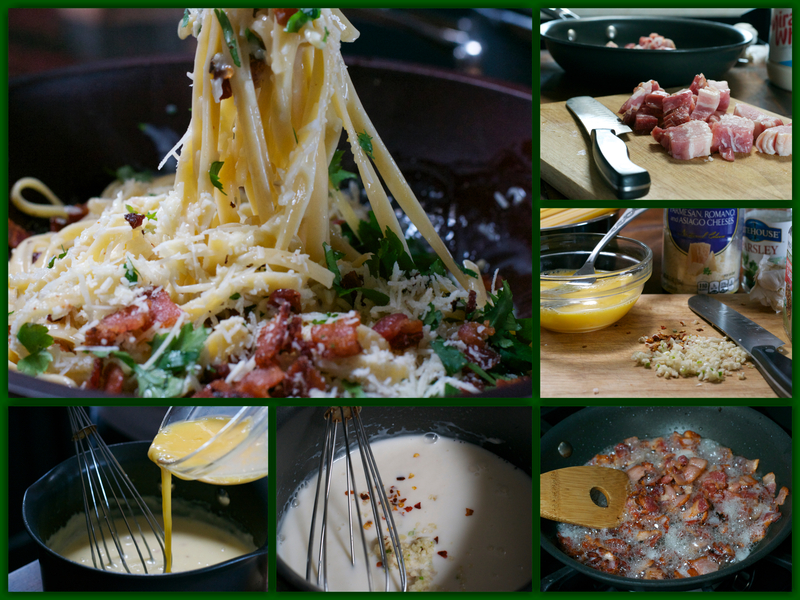 What it does for carbonara is awesome! It lends a creamy, tangy taste that nothing but Miracle Whip can add. Sorry mayo lovers, but I remain a steadfast Miracle Whip girl. This recipe is quick and easy. One of those dishes that when you don’t know what to cook, can be whipped up with things that you probably have an hand. Well, at least I always have bacon, pasta, and eggs on hand. If you keep them on hand, you will never be at a loss for a meal. Quick tip: Chop up your bacon and then cook it…..so much easier. 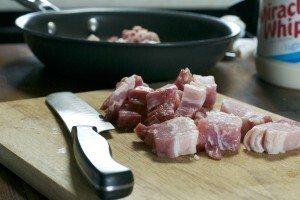 In fact, cook up the whole package, use what you need, and freeze the rest. Then, next time you need bacon…..ta da…….its ready! 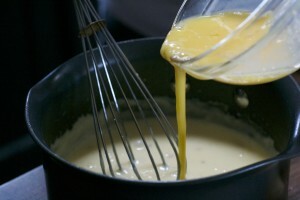 Tip two: do not over heat the milk/Miracle whip mixture. You will scramble the eggs. Use a kitchen thermometer. If you do not have one….run……don’t walk, and get one, its your best tool in the kitchen. 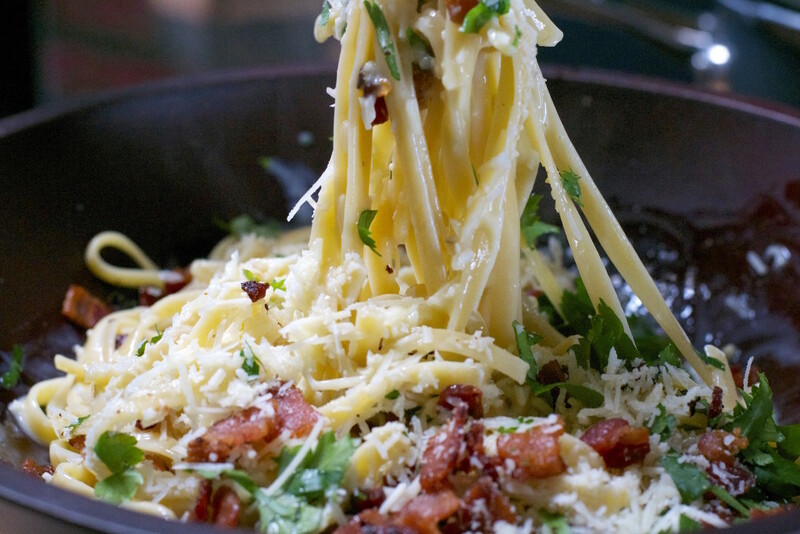 If you are craving carbs, especially pasta, whip up a Quick Pasta Carbonara and satisfy that craving. Remove from heat; gradually blend in eggs. 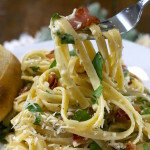 Place fettuccine in a large bowl pour egg mixture over pasta. Mix lightly until pasta is coated. Add bacon, parmesan cheese and parsley. Mix lightly. Garnish with additional chopped parsley and parmesan cheese if desired.